We are excited to announce that Active Farmers is coming to Trundle with Haylee Redfern!!! We are going to run a launch event, held 18th August at the Golf Course, then it will start indefinitely. Stay tuned for more details! All farmers and the Eugowra community are welcome to come along to the Active Farmers classes! It doesn't matter what level of fitness you have or how much experience you have, our programs are designed to be suitable for everyone. At Active Farmers we believe the more the merrier and the more diverse the group the better! For any questions or concerns get in touch with Haylee. I was raised on a small farm, primarily a horse stud half way between Forbes & Eugowra and still to this day it’s the family farm! I have always been an active person, being involved in Little Athletics and horse riding as an adolescent, and more recently a new-found love for CrossFit. I hold my Cert III and IV in Fitness and am currently working part time at Anytime Fitness in Forbes as well as having my own private gym at home running PT sessions and bootcamps. My love for living a healthy lifestyle however doesn’t end there! I also run a home based business called Sweet Nourishment, where I offer healthy treat alternatives for everyone and anyone. What’s unique about SN is I actually source and use local and regional produce where I can in an effort to support local farmers and their produce. I feel absolutely blessed to be a part of the Active Farmers Community with an emphasis on participants being able to take a more active role in their own wellbeing. People with anxiety or depression often withdraw from others, but continuing to socialise is an important part of recovery. 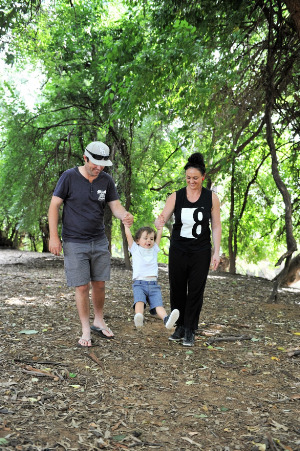 Staying connected with friends and family through the Active Farmers program will help increase wellbeing and confidence and provide opportunities to socialise, and this is where I come in! I feel very strongly about the positive relationship exercise has on depression and anxiety having suffered PND after the birth of my first child. I look forward to bringing some fun times to the people of Eugowra, Gooloogong & Trundle.